People in the streets of Erbil are saying these days, "We are fighting three extremely difficult battles: We fight ISIS with poor and outdated weapons, we struggle to absorb the refugees that have increased our population by 28 percent, and we fight with Baghdad to get our money to survive." In a nutshell, all of it is quite true. 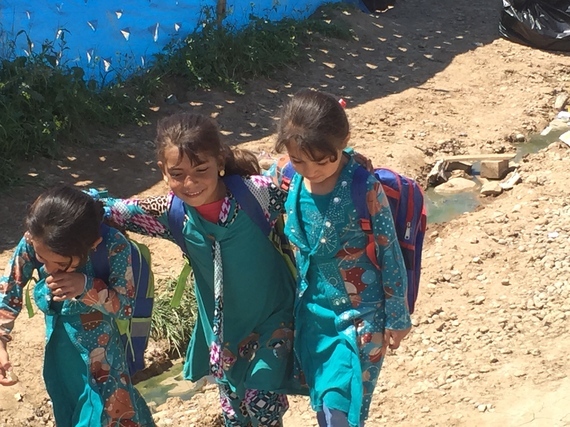 Before June 2014, the poverty line in Iraqi Kurdistan was low, at 3.5 percent, while now it stands at 8.5 percent and is growing - after the rise of ISIS, the poverty line has jumped 5 percent. The population has indeed increased 28 percent due to the huge influx of refugees, and everyone fears more refugees are yet to come; according to the latest World Bank report, the Kurdistan Regional Government (KRG) will need $1.2 billion U.S. dollars to sustain the refugees. Falling oil prices have hurt the Iraqi economy in general, which is ripped by corruption, sectarian violence and the rise of ISIS. The purchasing power parity of the Iraqi dinar is falling as well. One can argue that such a strategy could boost cash flow and help short-term economic stability, but that is yet to be seen in a country where lack of trust and the complicated "fabrics" of relationships dominate political life. 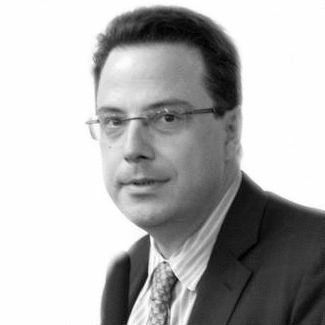 The success of any economic strategy will also depend on stability and the security situation, and developments on that front are hard to predict. According to Iraq's 2015 budget framework, the KRG should receive $1.2 billion U.S. dollars monthly to cover its operational needs ($950 million to cover salaries and government operational costs, and $200 million to finance around 1800 projects under implementation). The KRG has received from Baghdad $200 million in January, $400 million in February, and $450 million in March of this year, which combined is not enough for even one month's need. No doubt, all of Iraq is struggling, and finger pointing and the blame game are in no one's interest. Yet to successfully defend from and eventually defeat ISIS, creative political solutions are needed now. 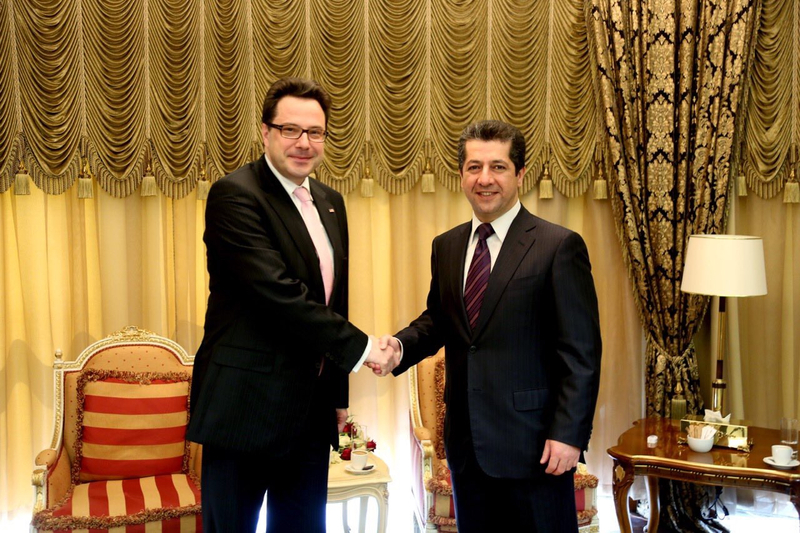 Masrour Barzani, Chancellor of the Kurdistan Region Security Council in Iraqi Kurdistan, is also overseeing the work of the Barzani Charity Foundation. He speaks very passionately about the Foundation's achievements. "Our vision is to build the Barzani Charity Foundation as a humanitarian tool not only for orphans, students, refugees in Kurdistan, but everywhere in the Middle East. We are and we want to be of assistance to everyone, Shia, Sunni, Kurds, Turks, everyone," Barzani said. Many countries and international organizations have responded to Kurdistan's needs. Help from the United Arab Emirates is significant in Kurdistan, and the UAE has signed a Memorandum of Understanding with the Barzani Charity Foundation to better assist its humanitarian work. The Barzani Charity Foundation plans to spearhead its activities in the United States as well and is already receiving some financial support from American donors. It is expected that the Foundation will launch its permanent presence with a major event in Washington D.C. sometime in the fall of 2015. With the upcoming battle for Mosul, no doubt more people will flee to Kurdistan and the crises will only get worse before they ever get a chance to get better. "To explain: the Peshmerga did not seek fame. We did not look for this war. We did not attack anyone, and we are forced to defend our land. My good friend, a good soldier, was killed yesterday in battle with ISIS. Why did he have to lose his life? Everybody knows we lack weapons, but we are not allowed to buy weapons to defend ourselves. But people write about our bravery. Better to get us guns to repel ISIS. And at the end of the day, I would much prefer for my soldiers and me to be at home, with our families now, than here and on the front lines. We welcomed everybody in Kurdistan regardless of their ethnicity, and we are beyond upset for all that is happening to us now," the General said. Military aid is slowly coming to the Peshmerga. 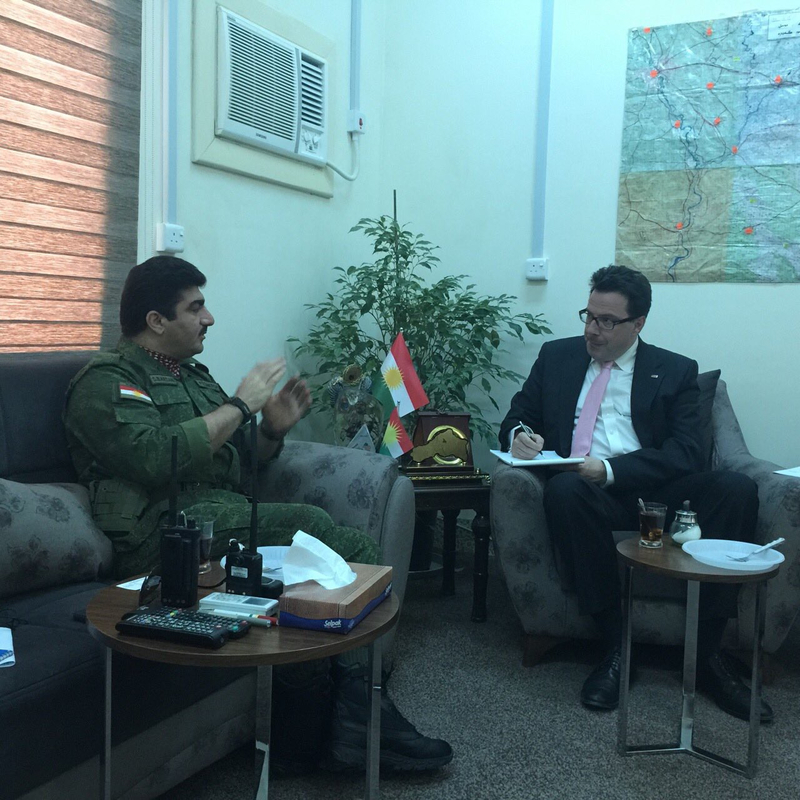 Coordination is improving, and the proposed legislation in the U.S. Congress drafted by Congressmen Ed Royce (R-CA) and Eliot Engel (D-NY) authorizing the U.S. to directly arm the Peshmerga forces and issue end-user certificates through the KRG - if the Congress enacts it - is a step in the right direction. The recent ISIS car bomb attack in Erbil in front of the U.S. Consulate that killed three and wounded several is a bold reminder that more support in training, and arming in this safest and best-developed region in the conflict-ridden country is needed. And with President Massoud Barzani leaving the comforts of his office in Erbil constantly to be on the front lines with his Peshmerga soldiers, the spirits of the Peshmerga forces and of the Kurdish people remain very high. Such admirable leadership mobilizes support well beyond the front lines and well beyond the country.